The spiritual successor to the legendary MiniBrute, the instrument that pioneered the affordable analog revolution, the MiniBrute 2 builds on this power, opens up exciting possibilities with a revolutionary connection system and Eurorack compatibility. Where the original MiniBrute brought analog synthesis to the masses, MiniBrute 2 brings the huge potential of Eurorack modular to a new audience. This cutting-edge synth adds exciting features without losing sight of what made the original so special: analog tone with powerful sound shaping features. Featuring two of Arturia's legendary Brute oscillators, the classic Steiner-Parker filter, an innovative looping envelope, and hands-on control for every parameter, MiniBrute 2 is a monosynth to be reckoned with. The next generation MiniBrute also features a Keystep-style Sequencer/Arpeggiator to give you maximum creative flexibility, letting you create a practically unlimited variety of sounds. Try out a few sounds from the included Preset Cookbook, hone your synth skills and start patching, expand using the RackBrute and your favorite Eurorack modules, the possibilities are endless. 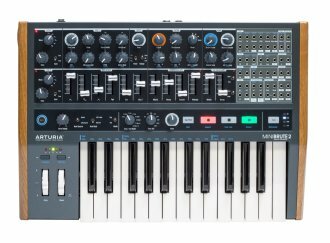 Like its predecessor, the MiniBrute 2 is fast, fun, and easy to use. Its features are simply laid out and intuitive. A great starting point for musicians to learn the basics of analog synthesis, and synth experts will love exploring the exciting sounds made possible through the diverse controls, mod matrix, and Eurorack compatibility. Connect via CV, MIDI or USB, sync to a DrumBrute, an Akai MPC Live or a Korg Volca; MiniBrute 2 lets you create your ideal synth ecosystem. One of the most exciting aspects of MiniBrute 2 is how perfectly it integrates into modular setups. 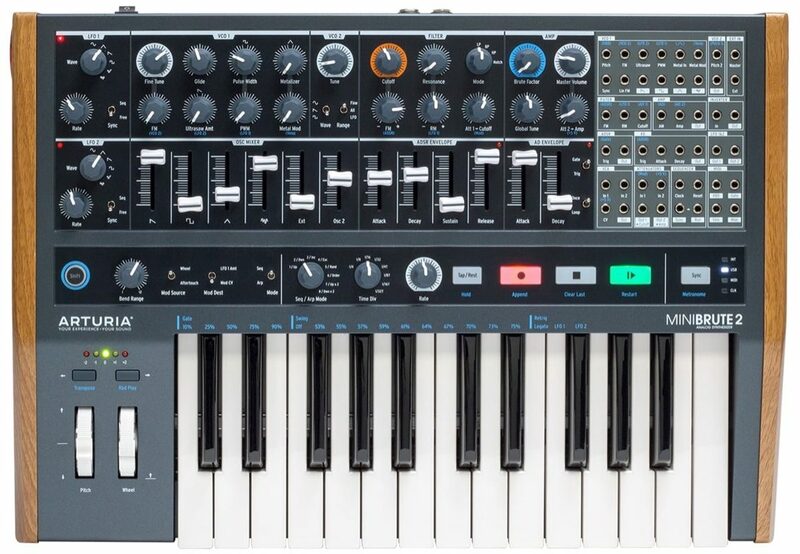 It features a comprehensive modulation matrix with dozens of sources and destinations, letting you experiment with the instrument's own sound, or hook it up to synth and effect modules. - An extremely versatile synthesizer: deep, warm bass, cutting leads, experimental drones. The MiniBrute 2 offers an extremely wide sound palette while keeping its Brute DNA. - MiniBrute 2 semi modular structure makes it easy to use for a beginner while offering the option of infinite patching capabilities for more advanced users. - High quality, MatrixBrute-style keyboard with assignable aftertouch. Available until 11 PM (EST) today. Mention special code 1ZZ-0G79 when you call.